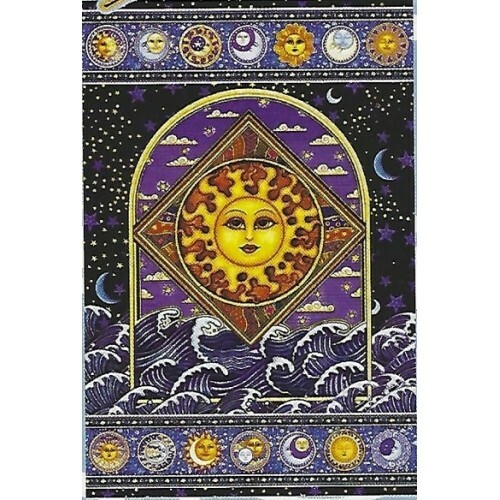 The sun over the ocean waves is a juxtaposed day and night image that shows off the ocean at night despite the blazing sun image. A bright light in the darkness! 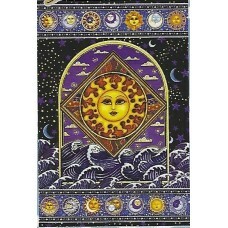 This tapestry about 6'x8', and displays vertically. Original Artwork by Dan Morris. Color may vary slightly from image.